Traffex event partner Siemens discusses its major focus on air quality and enforcement in the light of pollution and policy drivers. With cities and urban areas around the world experiencing ever-growing volumes of traffic and congestion, air quality levels are becoming a major concern. National governments and local authorities are increasingly taking measures to improve them. In the UK, air pollution is widely recognised as the most significant environmental risk to human health and the fourth biggest threat overall - after cancer, heart disease and obesity. A number of initiatives are already in place to help tackle many of the sources of air pollution – for example, London’s new Ultra Low Emission Zone (ULEZ), to be introduced in April. Such schemes are highly effective in targeted locations to influence driver behaviour. In Leeds for example, Siemens Mobility Limited has won the contract to design, supply, install, operate and maintain a Clean Air Zone (CAZ) monitoring and enforcement. 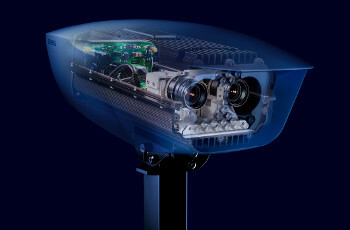 At its heart, the system will use Siemens Mobility’s Sicore II automatic number plate recognition (ANPR) cameras to enforce the CAZ and reduce air pollution in the city by encouraging businesses to transition to cleaner, less-polluting vehicles that would not be subject to charges for driving within the zone boundary. For this scheme, the charging only applies to the worst polluting heavy goods vehicles, coaches, buses, taxis and private hire vehicles - private cars, vans and motorcycles are exempt. These targeted solutions use intelligent vehicle recognition and analysis software, so that high-polluting vehicles can be restricted, banned or charged for entering a particular zone. Ultimately, vehicle operators are challenged to make cleaner choices or look for alternative modes of transport. These intelligent solutions provide different combinations of ‘carrot and stick’ and are helping improve air quality and provide an effective tool for meeting local, national and international environmental commitments. London is a perfect example of the issues facing authorities and as part of a series of initiatives to clean up toxic air, from 8 April, under Transport for London’s (TfL’s) ULEZ in central London, most vehicles, including cars and vans, will have to either meet new, tighter exhaust emission standards or pay a daily charge to travel within the ULEZ area. From October 2021, this area will be expanded to include the whole of inner London. The system has been integrated with the roadside sensors and ANPR cameras that form part of TfL’s existing congestion charging scheme. This infrastructure will be used to identify and register every vehicle that enters the ULEZ, with the information then being transmitted to a data centre, where the compliance of the vehicle will be determined, based on its emissions profile. The system will process an immense volume of data, all of which is processed and stored in such a way that it can be used as a basis for notifications of fees. With digitalisation solutions, Siemens Mobility enables mobility operators worldwide to make their infrastructure and networks intelligent and ultimately, to deliver an enhanced experience for road users and city dwellers. Proven enforcement solutions such as CAZ and ULEZ are examples of a number of approaches that authorities can implement to help manage and bring under control the issue of emissions. In the longer-term though, as emission levels are brought in line, a range of additional controls and tools are available to enable highway managers to better understand and manage traffic efficiently. These include proactive urban traffic management and control, modal prioritisation and journey reliability, increasing the accessibility and availability of electric vehicles and even upgrading traditional traffic signals to low-energy, long-life units. All of these contribute to a more efficient transport network and a cleaner, healthier and more attractive environment.